If you are working on environment projects, lots of times you need some diffrent looking buildings and it might be really difficult to find different type of buildings. 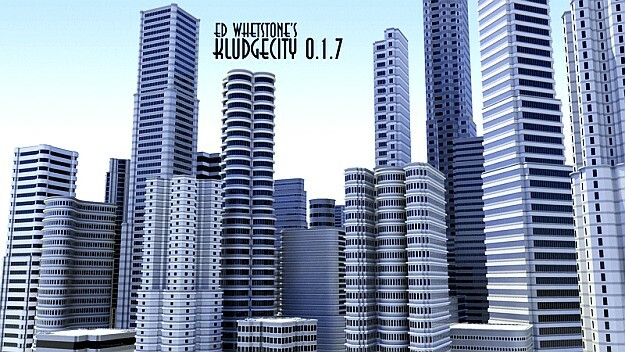 Visual Effect Artist Ed Whetstone has a great helper for this matter; KludgeCity! Let’s have a look at this nice script! 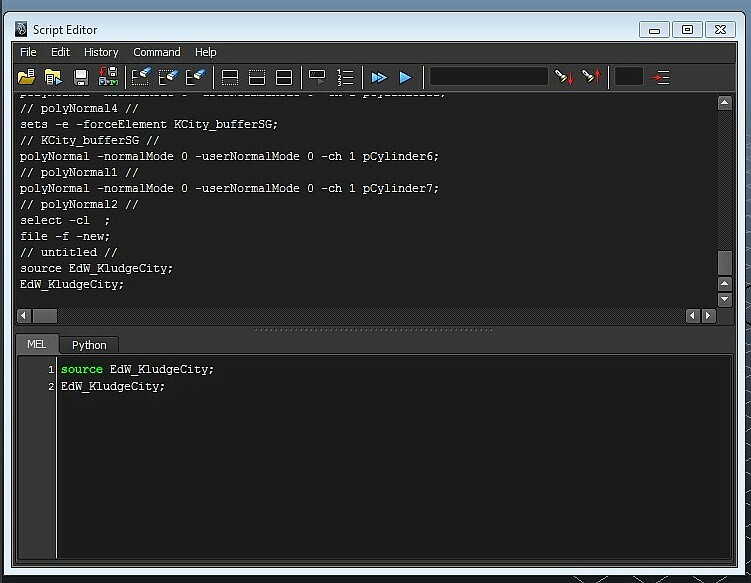 In order to install KludgeCity, unzip the EdW_KludgeCity.mel file to your Maya scripts directory. This is usually located in My Documents > Maya > Maya (Version) > Scripts. If you have Maya open, restart Maya. Then, type the following code into the Script Editor. 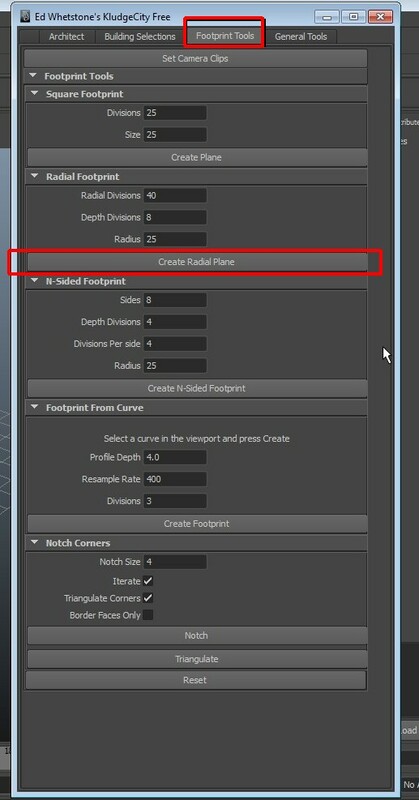 Firstly, select the Footprint Tools tab to determine a footprint for building. It may be a square, radial or n-sided type of building. For instance, I am selecting Create Radial Plane. It will create a radial shape to viewport. Now, select the Architect tab and when radial shape is selected, press the arrow (<) which in front of Footprint box. You can use [Randomize] button or you can set the floor, window, base options manually. When you press [Execute], your building will be created. 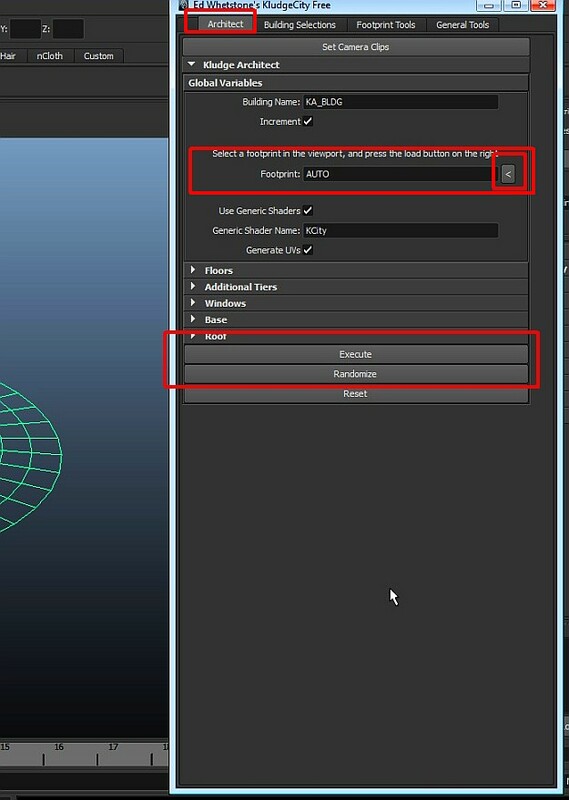 Next How to convert 3d Studio Max V-ray materials to Maya V-ray materials? WOW! I VE BEEN LOOKING FOR THATTT!!!!!! THANK YOUUUUUUUUUUU! IS THERE SAME PLUGIN FOR MAX?? We wanted to mention that we also make Urban PAD, a building and city generator tool that does something similar. 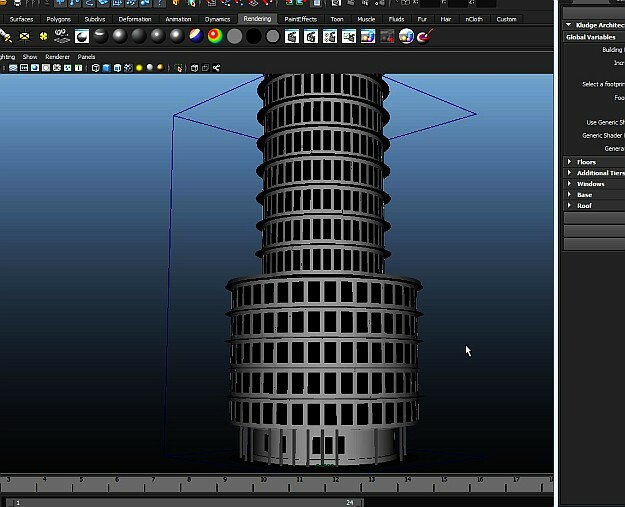 It can’t be run in Maya as a script, as it’s a standalone tool, but it is possible to create randomized buildings fast, then export them to Collada for import and tweaking in Maya. A 30-day trial version is available at http://www.gamr7.com.